Kirsten Mansfield prepares to strike the ball. The sophomore defender was named Big Ten Offensive Player of the Week for her three goals in three games. After opening the season against a slew of ranked teams, Northwestern will be tested again Friday when it hosts No. 19 Rutgers. No. 10 NU (7-4, 2-1 Big Ten) has played 11 games this season, and seven have come against top-15 teams. The Cats are 3-4 in those contests, but 4-0 against other opponents. Entering the weekend, NU sits at No. 8 in the NCAA’s RPI rankings, which, according to Fuchs, would be good enough to secure the tournament bid that eluded the Cats last season. But the NCAA doesn’t hand out bids based on September’s RPI rankings, and the No. 8 ranking is subject to fluctuation between now and early November. Every match until the end of the season is crucial, and just because the Scarlet Knights sit outside the top 15 doesn’t mean NU is taking them lightly. According to Fuchs and the players, Rutgers (7-3, 2-0) has improved significantly since last season, when it lost 5-3 to the Cats in New Jersey. Rutgers’ 2017 resume speaks for itself. The Scarlet Knights sit tied atop the Big Ten standings after defeating Indiana and Iowa in their first two conference games. Massey has scored a team-high five goals this season, a mark she shares with sophomore defender Kirsten Mansfield. Even though she spent most of her time on the defensive end, Mansfield was named Big Ten Offensive Player of the Week on Monday after scoring three goals in three games. 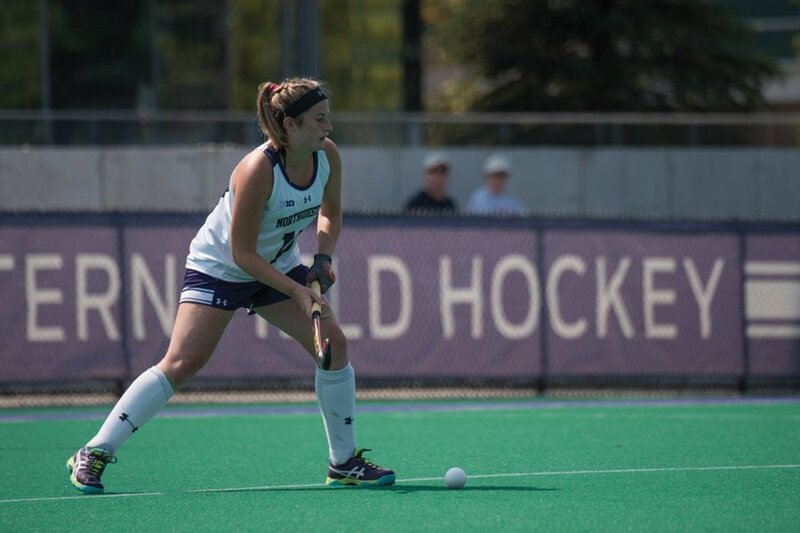 While Massey has played a more central role in the offense this year, taking the second-most shots of anyone on the team, Mansfield scored her five goals on just six attempts. Despite her incredible efficiency, Mansfield downplayed her success. Thanks to Massey, Mansfield and star junior midfielder Puck Pentenga, the Cats are 4-0 at home this year — averaging four goals per game — with a convincing win over now No. 12 Louisville. This will only be NU’s second home conference game this season, but turning Lakeside Field into a fortress could be key to the Cats’ success later in conference play.